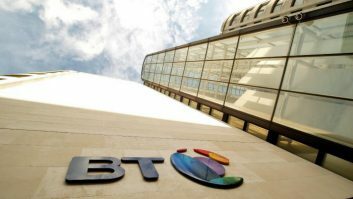 The next-generation Lyric graphics creation solution from ChyronHego has been deployed as the ultra high-definition (UHD) graphics infrastructure for MOOV and BT Sport's new UHD service, which was announced on 9 June. The next-generation Lyric graphics creation solution from ChyronHego has been deployed as the ultra high-definition (UHD) graphics infrastructure for MOOV and BT Sport’s new UHD service, which was announced on 9 June. BT Sport has staged numerous UHD events so far this year, including the NBA Global Games in London, the FA Cup semi-finals and Trophy and Vase events at Wembley, the first-ever UHD broadcast of a premiership match for the English Premier League that was broadcast to homes in the UK, and the Aviva Premiership Finals. In the coming months, MOOV will cover additional events in UHD including the UEFA Champions League football matches, Premier League football, Aviva Premiership Rugby, Scottish Premier League football, and the FIM MotoGP Silverstone Circuit. In preparation for these events, ChyronHego worked closely with MOOV to support the design and testing of 4K Lyric templates early in the production cycle. ChyronHego supplied MOOV with two of the world’s first UHD-enabled Lyric production systems equipped with next-generation I/O boards in order to support the ultra-high-performance rendering required by the UHDTV production.